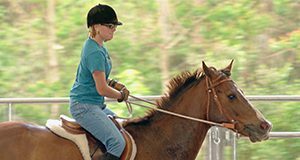 In the Florida 4-H Horse Lease Program, the same animal may be leased by up to three 4-H members and all Lessees must conform to the requirements of the Florida 4-H Equine Program. This revised 7-page publication contains the forms that might be needed for one 4-H’er to lease a horse: a page of instructions, a page of advice, the 3-page lease form, and 2 copies of the addendum (if up to two others are sharing Horse). Written by E.L. Johnson and Wendy DeVito, and published by the UF Department of 4-H Youth Development, March 2011.